air joe is proud to serve the Westchester community! We are proud to be a part of this community, serving your heating and air conditioning needs: air joe is listed in many directories under titles such as : Westchester Heating Contractors, Westchester Heating, Westchester Air Conditioning, Heating Repair, Air Conditioning Repair, Westchester Heating and Cooling Contractors, Rooftop HVAC Repair, Ductless AC Systems, Boiler Repair and Westchester Heating and Air Conditioning Contractors. We are here for you whether you need furnace or air conditioner repairs, heating and cooling estimates, equipment replacement or new installation of a furnace, air conditioner, heat pump, rooftop heating and cooling or comfort products to improve the air filtration for your home or business. About Westchester, IL - Happy to be your hometown Heating & Air Conditioning Contractor! 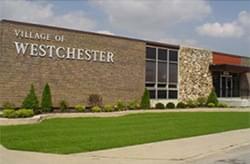 Westchester is a western Chicago suburb located in Cook County, Illinois. This village has a population of over 16,700 residents, and it is home to the Westbrook Corporate Center, which consists of five, 10-story buildings of office space. The presence of this complex makes Westchester a great place to work, and some of the top employers in the community include Gas Secure Solutions Inc., Corn Products International, Sogeti, and the Chicago Laborers Pension & Welfare Funds. Summers in this village are hot and humid, while winters are cold and experience frequent snow fall. Despite the modest size of Westchester, there are some notable attractions located here. Art enthusiasts may enjoy checking out the Mary Vincent Fine Arts Gallery, while other visitors may prefer playing a round of golf at the Chicago Highlands Club. Despite its suburban location, there are also several outdoor recreational areas, including Gladstone Park and the Wolf Road Prairie.